eBook available now. Print book ships April 15. Save up to 40% and start reading immediately by ordering the eBook or print + eBook combo today. Aging is one of the greatest challenges currently facing society. People are living longer than ever, but many of the later years are fraught with frailty and disease, placing an enormous burden on health-care systems. Understanding the biological changes that occur during aging and developing strategies to address them are therefore urgently needed. 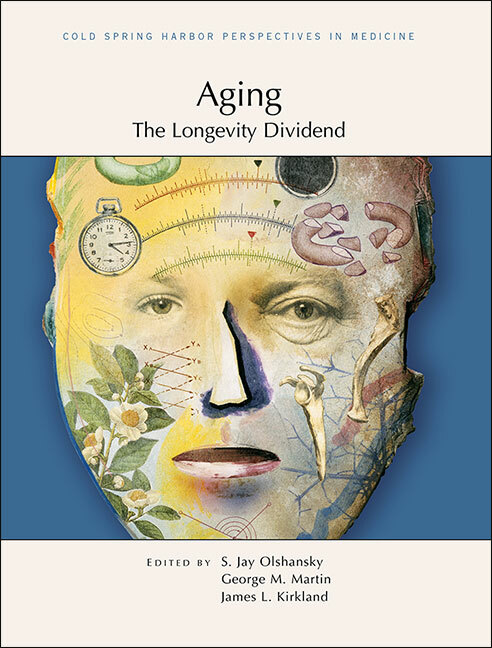 Written and edited by experts in the field, this collection from Cold Spring Harbor Perspectives in Medicine examines the biological basis of aging, strategies that may extend health span, and the societal implications of delayed aging. Contributors discuss genetic variants that accelerate or protect against aging, biochemical pathways that modulate longevity (e.g., mTOR), biological consequences of aging (e.g., decline in stem cell function), and various animal models used to study aging processes. They emphasize that age-delaying interventions will yield greater health and vitality than disease-specific treatments. Drugs that may promote health span or longevity (e.g., metformin) and efforts to prevent and treat frailty (e.g., through exercise) are explored. The authors consider the socioeconomic benefits and costs of delayed aging and also outline directions for future research and translational efforts. This volume will serve as a vital reference for all involved in the fields of geroscience and geriatric medicine, as well as anyone wishing to understand physiological processes that generate health and disease, regardless of chronological age. Has the Rate of Human Aging Already Been Modified?